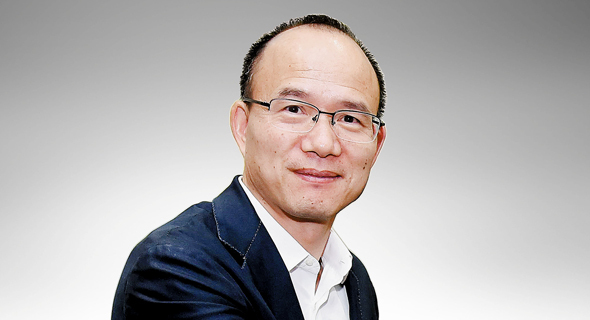 Fosun Pharma, the pharmaceutical arm of China-based Fosun International Ltd., has led a $30 million investment round for clinical stage biotech company MitrAssist Ltd, MitrAssist founder and CEO Gil Naor said in an interview with Calcalist. Ping An Insurance Company of China Ltd. also participated in the round. MitrAssist received $16 million of the investment according to a pre-closing company valuation of $80 million. The company will receive an additional $14 million according to a pre-closing valuation of $136 million when it begins clinical trials, expected within a year. The company raised $3 million in 2014 from medtech investment firm LongTec HongTao China Ventures LP. Established in the affluent coastal Israeli town of Caesarea, MitrAssist develops a biological, collapsible valve that can be placed inside the heart using a catheter inserted through the femoral artery in the thigh. The company’s valve is meant to treat mitral regurgitation, a condition in which the heart's left valve doesn't close tight enough, causing blood to flow in two directions instead of one following heart contraction. The condition, which is the most prevalent heart valve disease in the U.S., can cause a wide range of symptoms, from shortage of breath and fatigue to heart rhythm problems or even heart failure. While medication can help ease symptoms, it can't correct valve deformity, and in many cases the valve needs to be treated surgically. MitrAssist is hoping to introduce a new treatment for a condition that currently requires one of two surgeries: either open heart surgery or an incision through the apex, or lower tip, of the heart. Both surgeries have their fair share of risks and side effects. "What everyone is waiting for is the possibility of performing the entire procedure through catheterization, and that's what we develop," Mr. Naor said. "We enter through the thigh, place the implant, and exit." Though relatively new, valve replacement procedures are already being performed using catheters, either through small surgical cuts in the chest or through the large artery in the groin. But they are being performed for the aortic valve, not for the mitral valve, which still requires more risky and invasive surgery to replace, and not everyone who needs the replacement is healthy enough to undergo it. "Our product is meant for people who have no other options," said Mr. Naor. MitrAssist was founded in 2009 and currently has 10 employees, with plans to recruit eight more soon. The company intends to market its valve in Europe first, and is already in contact with regulatory authorities and doctors in Germany and New York. Yair Geva, head of the tech business at Israel-based law firm Herzog Fox & Neeman, represented MitrAssist in the deal.